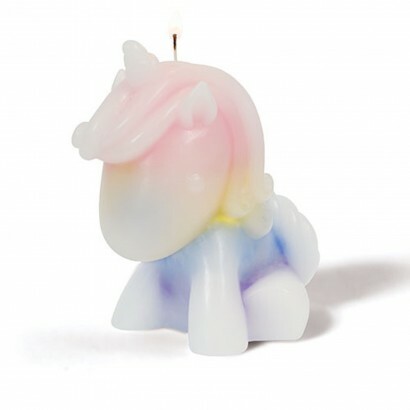 Rainbows and unicorns go hand in hand and this magical unicorn candle melts gradually revealing a rainbow of colour! 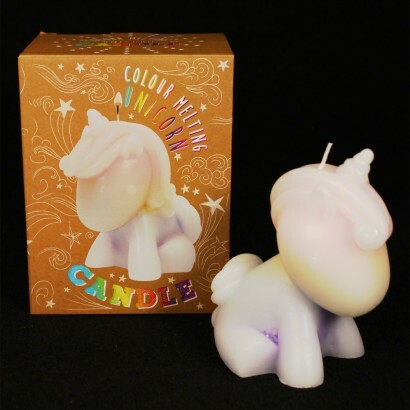 Light the wick of this sweet little unicorn and watch as the colours reveal themselves as the wax melts. With a twenty hour burntime, this enchanting candle will brighten up your space with vivid colours revealed as the unicorn melts away.